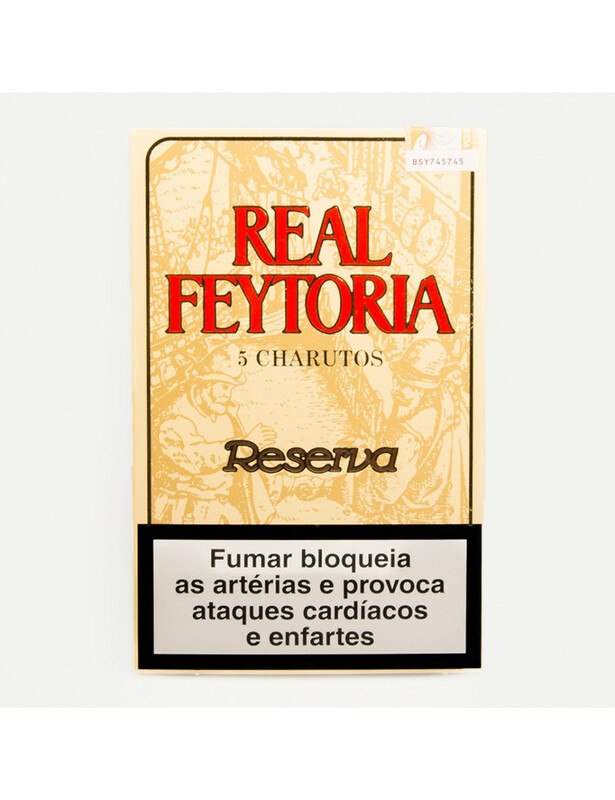 "Real Feytoria" Cigars Extra Reserve, handmade in the island of São Miguel. The cigars from Fábrica de Tabaco Micaelense, founded in 1866, are known to be hand-rolled, which is a rarity in the world and especially in Europe, where only the Canary islands have this type of manually rolled cigar. These cigars are manufactured with high quality tobacoo and have a careful finishing.